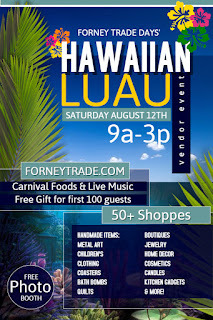 "Forney Trade Days Craft Fair & Vendor Event with a fun Hawaiian theme! Over 50 vendor shoppes & Great food - foot long corn dogs, snow cones, funnel cakes & more! Live Music, FREE Gift for All guests, While Supplies Last, FREE Hawaiian Photo Booth! Free Admission! Free Parking!" Applications are available here and are due by ASAP. 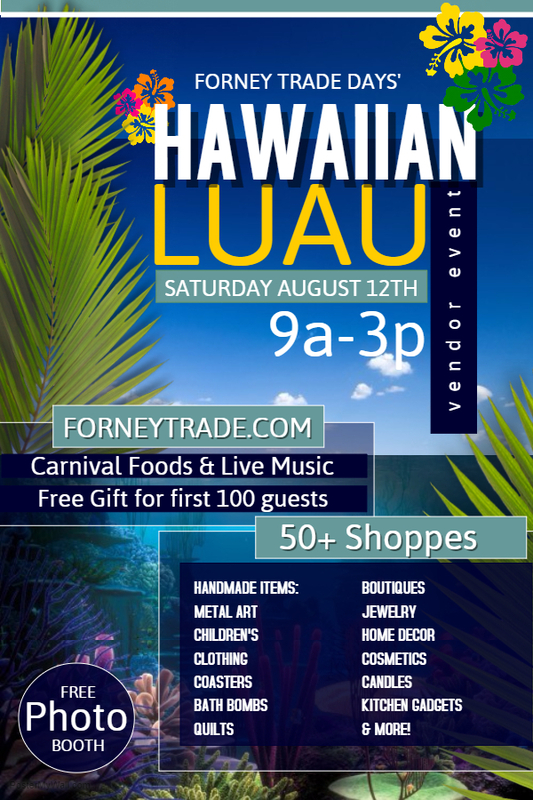 For more information, visit their website or contact their event coordinator at info@forneytrade.com.